Join Wendy the Weaver at the 4th Annual Sedona Bridal Fair! 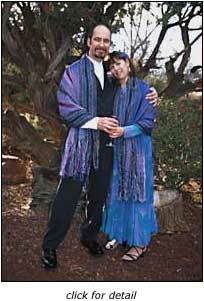 Wendy will be offering exclusive, one-of-a-kind wedding wearable art created by her in Sedona, Arizona. And, she’s offering special deals this date only! Custom order deposits are usually 50% down… today, only 25% deposit! Deposit is based upon an estimate of what you think you will be ordering. Your deposit holds your place for the timing of delivery. Final pricing for the items listed below will be determined once you’ve have had a consultation meeting and determined your final order. Call Wendy at 928.274.7161! 15% off Bride’s shawl and Bridesmaid shawlette collection when deposit is paid by 2:30 PM today! These shawlettes make great bridesmaid gifts besides being worn at your wedding. 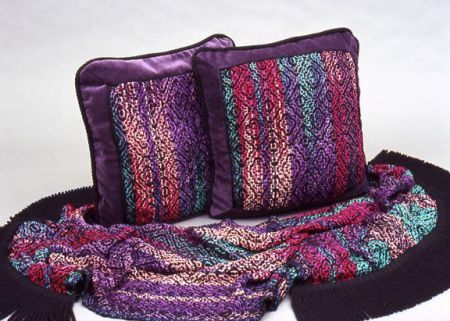 20% off Couple’s set of shawls or vests when deposit is paid by 2:30 PM today! This is an awesome coordinated look. Ring pillow (a $75.00 value!) 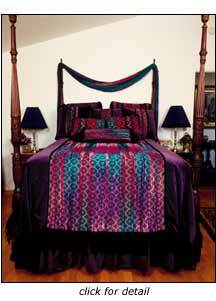 as Wendy’s gift to you with any order over $1,000.00 if ordered before February 14, 2014. Experience a creativity retreat customized to your needs and desires. Walk our outdoor Labyrinth as part of your creative journey. Having the intimacy of one-on-one instruction can be very powerful. Choose a topic, a technique, or a guided creativity journey. Introductory to advanced fiber arts classes are available. We can discuss in detail what your goals and intentions are and then design a program that works for you, in a creative and supportive environment. Costs will vary depending on the instructional needs, materials, and equipment involved. The Labyrinth can be made available for your process (weather permitting). Coming together as a group with a shared intention for the day, week, or weekend offers an amazing bonding opportunity in addition to a lot of fun. A program can be specifically designed and customized for your group. Project samples can be created especially for your program. It is important that the symbolism, materials, and timing meet your group’s needs. 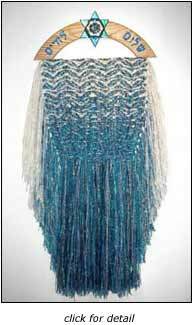 a chance for fiber artist friends to create together. Any time we gather as a group we have the opportunity to build and strengthen our community. To further enhance your experience the use of our labyrinth will be made available (weather permitting). Our kitchen is easily set up for potlucks or catered buffets. Groups supply their own food, beverages, dishes, and paper goods. There are several places nearby for your group to spend the night if your event is longer than one day. We can discuss these options with you. Learn to weave and use your creative process as self-therapy. 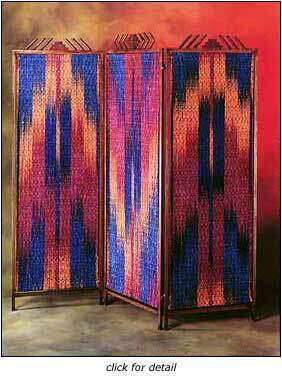 Weaving is often, and aptly, used as a metaphor for life. Each experience is a thread which, added to others, helps create the warp and woof of that most unique fabric, the self. Care, creativity, and a sense of adventure are necessary to arrive at a finished product that pleases the senses and the soul. 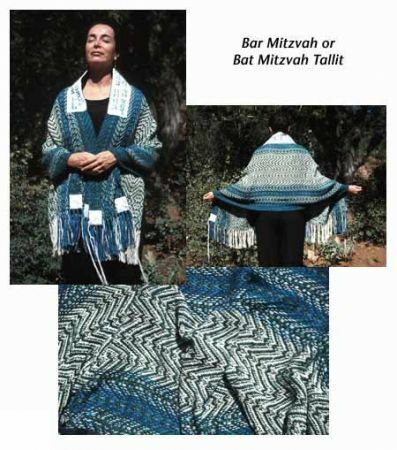 Weaving for Wellness, a program developed by Wendy Bialek, uses this ancient art to launch individuals on their voyages of self-discovery and self-expression. 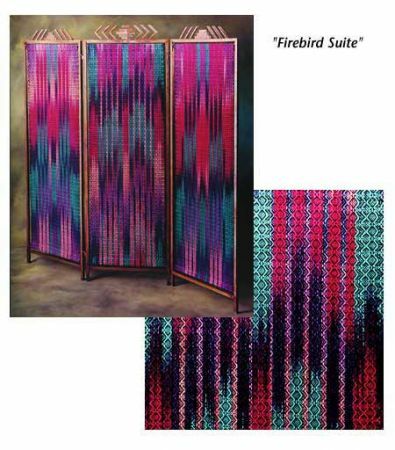 While learning to weave, participants will explore color, texture, and pattern and discover how to use their own creative processes. With hands-on work and discussion, the program offers guidance to possibilities in dealing with physical pain, emotional struggles, and fears and obstacles to spiritual well-being. 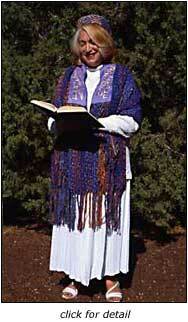 Weaving for Wellness programs are available in several modes. These can be tailored to specific needs and requirements of facilities or individuals. The programs are appropriate to train health care professionals, such as occupational therapists, or to work with clients in hospital, rehabilitation, or psychiatric settings. It is possible to adapt equipment and make it handicap-accessible. Half-day: Introduction, demonstration, and hands-on experience. Full-day: An extension of the half-day program with attendees weaving a small project. Weekend Workshop: An extension of the full-day program with a larger project and guided discussion about creativity and visualization. 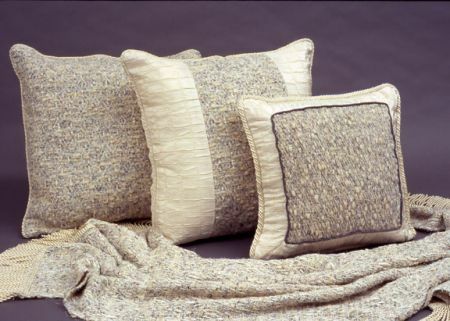 Since childhood, Wendy has been immersed in the textile arts. 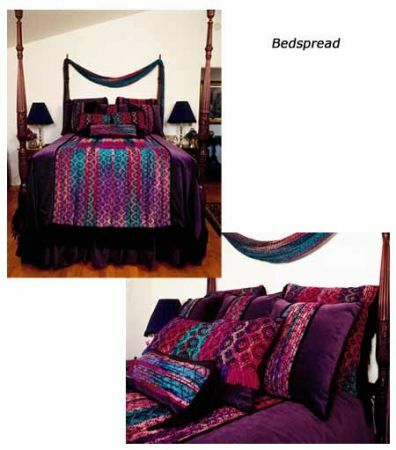 She was developing an avid interest in other cultures, gathering information on tools, techniques, patterns, and colors used by textile makers around the world. These interests proved to be a lifeline when she was diagnosed at age seven with a congenital orthopedic condition. Throughout her life, she has had multiple surgeries and times of confinement and found that her creative self-expression allowed for a rich and full life. She found that teaching her crafts to fellow patients and her occupational therapist brought her out of her difficulties while enriching the lives of others. With degrees in liberal arts and production weaving, and a master’s in special education, Wendy has continued to combine art with instruction and healing, teaching everyone from small children to the elderly. There continues to be realization in the medical community that such aesthetic elements as color, landscaping, and artwork contribute to the well-being of patients in hospital and rehabilitative settings. 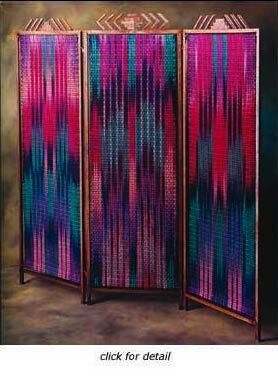 As a professional weaver producing custom work, Wendy has explored the power of art to create a healing environment. 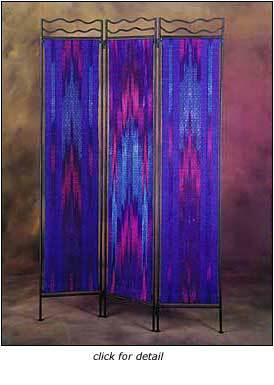 Wendy’s custom work ranges from meditation shawls to large wall pieces. The design of these one-of-a-kind creations is intended to nurture the energy of the individual and create works that meet specific needs of the facility’s setting. 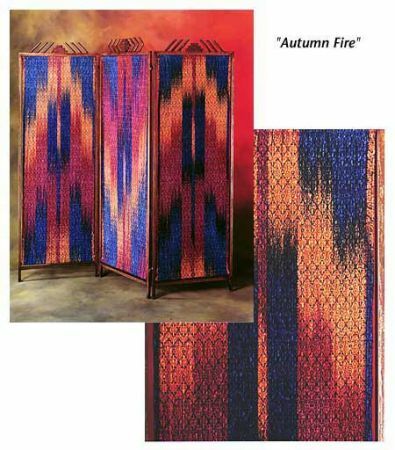 Woven pieces designed for interiors, such as wall sculptures, floor screens, bedspreads, throws and pillows, not only pull a room together visually, but help create a chosen atmosphere — from soothing to stimulating. 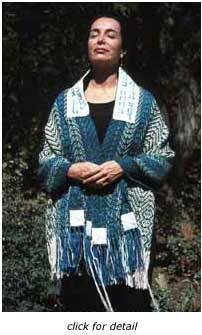 Wendy honors her Jewish heritage – and the role that woven cloth plays in it – embodying Jewish symbolism in selected pieces. 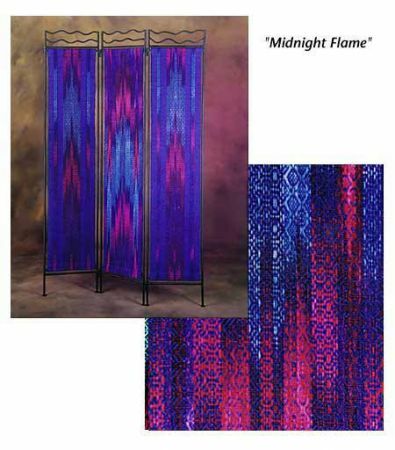 Ancient tradition meets modern sensibilities in these unique works of art suitable for your home or Synagogue. 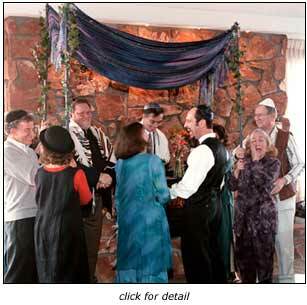 In the Jewish tradition the chuppah (canopy) symbolizes the creation of a new home and family and the divine protection and peace spread over a couple joining in marriage. Wendy weaves each chuppah with the intention of love and harmony focusing on each couple’s commitment to one another and the future they are building together during this sacred ceremony. Two “ikat”-style prayer shawls were sewn together for the wedding ceremony and then separated as individual tallitot for the couple’s first blessing as wife and husband. 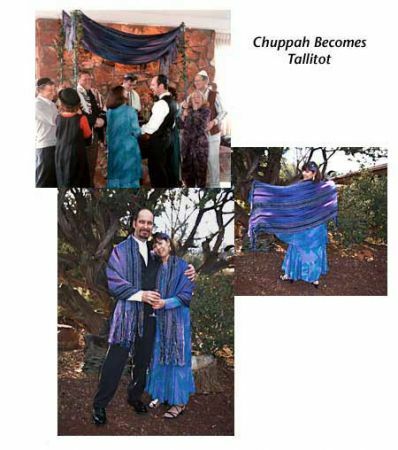 Whether given for a Bat or Bar Mitzvah, wedding, anniversary or spiritual renewal, tallitot / tallises serve as bridges between the spiritual and physical worlds. 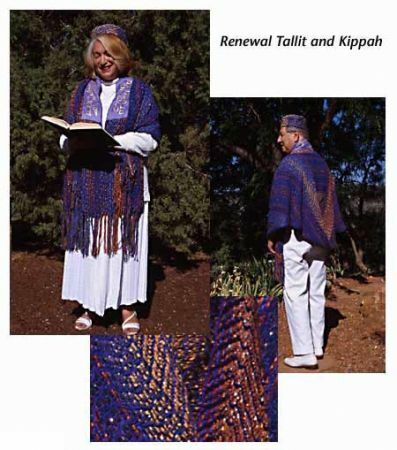 Wendy’s contemporary prayer shawls make a personal statement of faith and “hiddur mitzvah” – adding beauty to a ritual object to enhance observance. Atarah (blessing band), tzitzit (ritual fringes for the four corners), kippah / yarmulka (skull cap), and a bag are available as well. 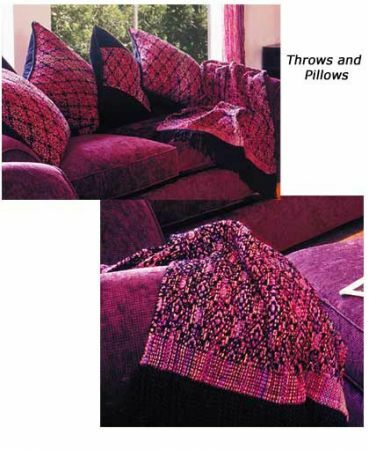 Both functional and decorative, throws and pillows are the perfect accent to any living room, family room, bedroom, or mediation space. 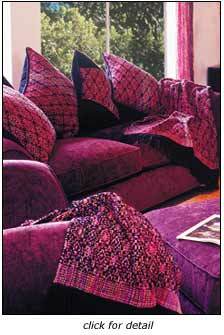 They add splashes of color, a subtle accent, or a textual experience that will add life and complete a room.